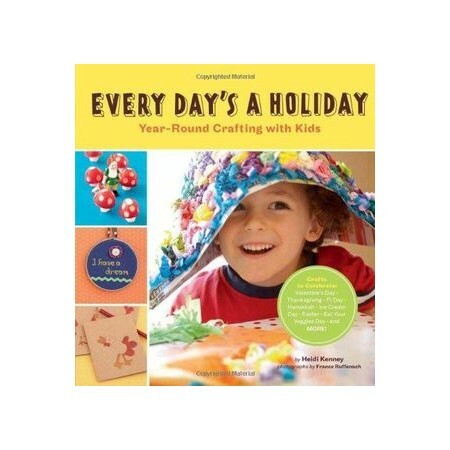 Kids love making crafts, and no one knows that better than Heidi Kenney, creator of the popular blog My Paper Crane. In this festive how-to book, Heidi shares a year's worth of classic and not-so-classic projects that the whole family will enjoy, from the National Bird Day embroidered handmade book to the St. Patrick's Day mini leprechaun pin. Fifty fully photographed projects are geared to all age levels and abilities. Some like the New Year's Day newspaper hats are simple enough for small kids to make themselves with minimum assistance, while more complicated projects require a little extra help from mom or dad. With so many fun projects to bring the family together, Every Day's a Holiday proves that every day really is a holiday.